MP3 Sticky Player is a powerful responsive HTML5 mp3 player for your website that can be added at the top or bottom of the window, it runs on all major browsers and mobile devices like iPhone, iPad, IOS, Android, Windows8, Windows 10. MP3 Sticky Player supports unlimited playlists and each playlist can have unlimited tracks. TOUCH AND HOLD SCREEN,LAUNCH THE PANDA GET HIGH SCORE Mobile platform optimization. Easy to change the player image ,just replace the image file! !Customize your own panda game! !Put it on ios or anroid!! jQuery slider with Ken Burns effect comes in two variations fullscreen or box and it's fully responsive (it adapts for any kind of device, desktop, tablet, smartphone). It's great to showcase your portfolio / images. For each image you can edit the transition time, start and finish points, link and description. Spice up your website with mega tabs in orde to easily show any content, video, price or data tables, form or other elements. 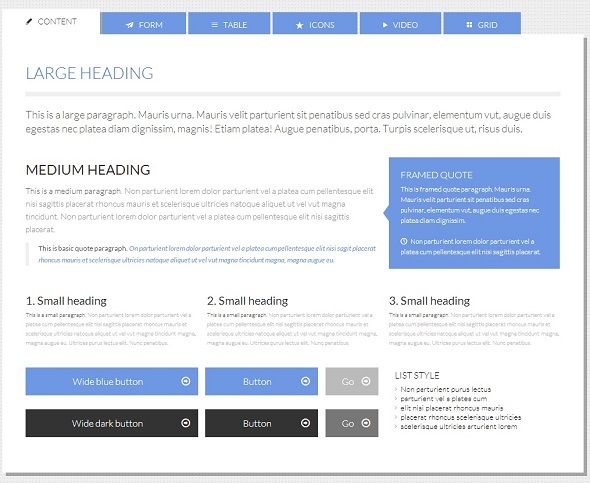 Useful package of 20 different HTML5 and CSS3 elements to use in your website with various screen positions. Give your visitors a better interaction and users experience! 2Sides Carousel Banner is a unique image rotator that will add a fresh look to your website. 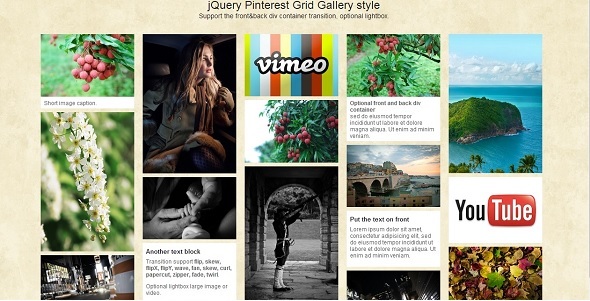 Pinterest grid gallery style with youTube and Vimeo support.